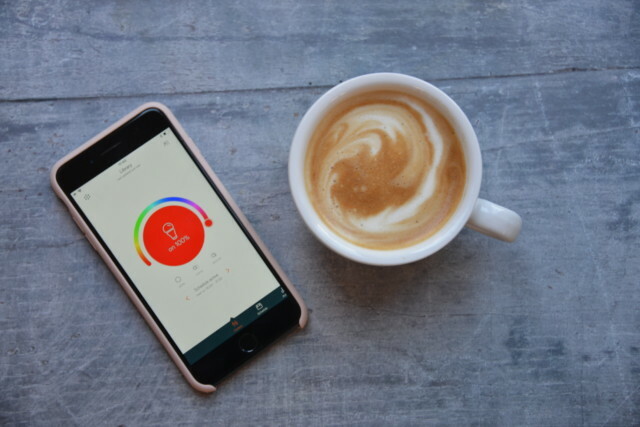 Making a home smart with Hive! You are here: Home / Home / Making a home smart with Hive! I have to admit that until quite recently I thought Hive products were just for heating. I had no idea that Hive have such a huge variety of items available. My favourite is the Hive active plug, I am forever running back upstairs just as I’m about to leave the house to check I’ve turned the iron or my hair straighteners off. The active plug would allow me to turn them off from my phone wherever I happened to be, so no more worrying as I’m driving along that I’ve left something on! The active plug can also be used to turn lights on and off when you’re away so it looks like there’s someone at home. Hive even have a camera that detects movement and has 2 way audio so you check in on the kids even when you’re not there! How fab is that? Obviously it’s not just for checking up on kids, but I like the idea of being able to check Zak has got home from school ok if I’ve had to pop out or being able to see them on the top floor when I’m downstairs. 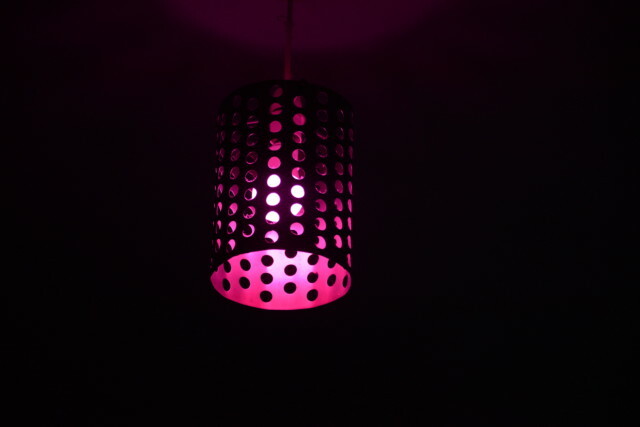 Hive kindly sent us a colour changing lightbulb and Hive Hub to try out. Setting the lightbulb up was super easy. We simply connected the Hive Hub to our router, downloaded the Hive app onto our phones, opened an account and followed the instructions to set up our lightbulb. The whole thing took less than 10 minutes and the app is super easy to use. Hive long-lasting LED smart bulbs are rated A+ for energy efficiency, and by controlling them remotely you can make sure they’re not left on! We live in a three storey house, and quite often I don’t realise the kids have left a light on on the top floor for several hours. Hive bulbs allow me to remotely check if they are on and turn them off without moving! Hive allows you to personalise the lighting for every room and set schedules so your lights turn on and off automatically. You can even make it look like you’re home when you’re not! Did you know 42% of Brits admit to accidentally having left the lights on before jetting off on holiday at some point? The app even comes with a ‘Mimic Mode’ which turns the lights on and off in random intervals to give the impression that someone is still at home. Hive Lights work with both Amazon Alexa and Google Assistant allowing you to use your voice to turn all the lights on or off together. I really like the idea of walking around the house asking for lights to be turned on or off. It feels very futuristic! 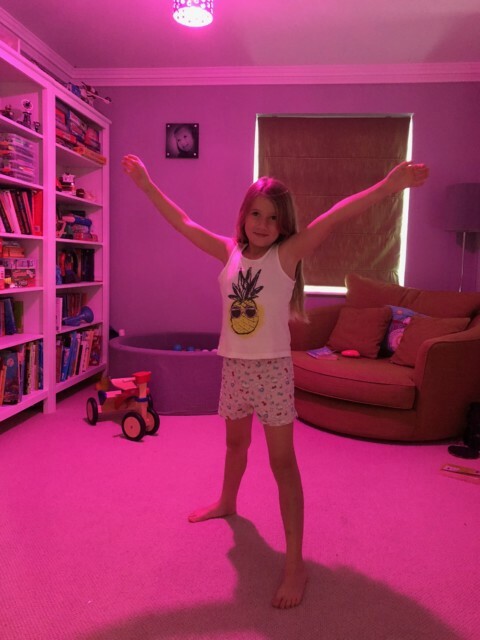 My daughters are loving being able to change the colour of the lights which make pre bedtime discos even more fun and the fact that there are 16 million colour possibilities blows their mind a bit! This is the cleverest thing I’ve read about in a lot time! It connects all the Hive devices together wirelessly and can detect sounds such as glass breaking, a dog barking or your smoke detector going off, and let you know about it straightaway. Isn’t that amazing? I know this would give me so much piece of mind when we’re away. Immediately after installing the colour changing bulb we spotted a special offer on more bulbs and bought 3 extras. We have one on the top landing which we turn off from bed as we’re going to sleep and two in the hallway outside the baby’s room which we sometimes turn on ( dimmed ) in the night if we need to check on him, it’s so handy! No more scrabbling around for a light switch and then being shocked by the brightness in the middle of the night. Next on my list to buy are some active plugs and the Hive camera, which I think will be really useful as my children get older and start to spend time at home without us. I’m very excited to have a fantastic 20% discount code for Hive products, but hurry, hurry as it’s only valid until September 9th 2018! 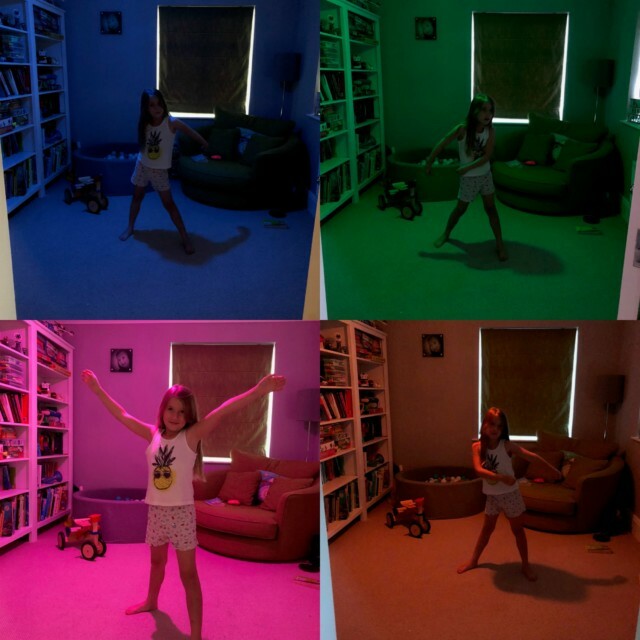 We have a similar brand of colouring changing lightbulbs and they are fun, especially when the kids can control them via their Alexas! I admit, I thought it was just for the heating as well, so I am impressed to hear that you can do so much with it! I like the idea of mood lighting! I am forever panicking that I’ve left my straighteners on so a Hive plug would be amazing to reassuring myself that I’m not burning the house down whilst doing my daily commute. It sounds a fantastic range and definitely something worth investing in! What a wonderful post! Totally love the Hive coloured changing bulbs and I know for sure that my kids would love having these in their rooms as well.